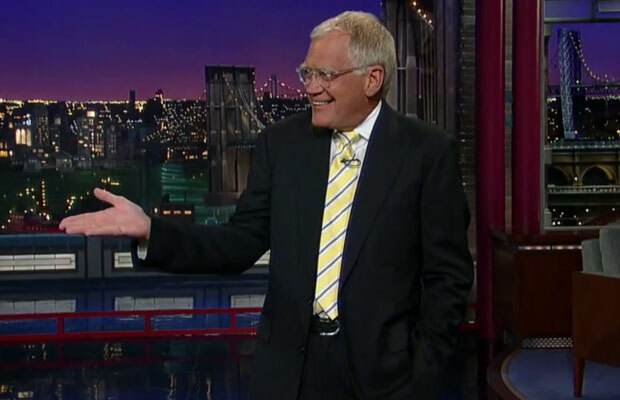 US talk show host David Letterman has made light of the recent death threat made against him. During his first show since the news broke, Letterman made a string of jokes about the threat during his opening monologue followed by a threat themed Top Ten list! US chat show host David Letterman last week had a death threat made against him by a Muslim militant. A U.S. intelligence monitoring group said on Wednesday that the militant has urged American followers to assassinate talk show host David Letterman, saying his tongue deserved to be cut out. The death threat was posted on a website used by militants after the writer became upset by a joke Letterman made about the death of a leading member of al Qaeda killed in an air strike in Pakistan. Well, in true letterman style, the inimitable host used his first show back after a two week break to make light of the news. Do you think playing it lightly is the right way to go? Click here to let us know if there’s a mistake or dead video link in this post!